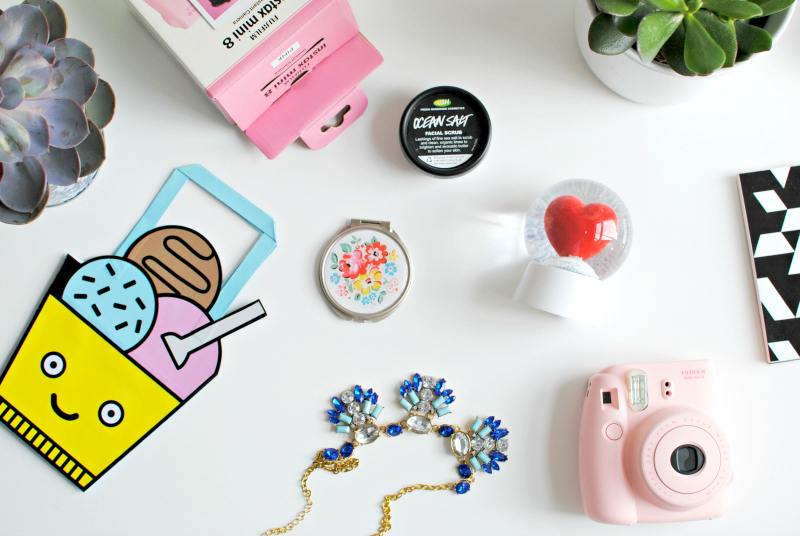 oh emm geee it feels like ages since I've done a post with all my favourite little things in! my pal laura has opened up a new shop selling statement necklaces, I love throwing on something sparkly over a basic tee and jeans so this was right up my street! I also ought to point out that prices start at £5 so nip over and check them out here before those little rascals are all gone!! I love this salty face buffer! it's seriously refreshing and the only thing that wakes me up in the morning; I do have to be careful with it as I have a tendency to scrub for dear life (I think my face would rather like to keep its skin intact) overall though a zingy little winner. nothing makes me more upset at mother nature than having a pastel pair of vans just crying to be worn, I've had these for a few months and I'm so scared of getting them muddy they're currently taunting me from my shoe rack.. roll on spring so I can get these bad boys out in the open.. I adore this egg cup set by keith brymer jones, it was a gift from our friends and I could not love it more! I had a look at some of the other things from the range and can safely say I'll attempt to buy it all.. I picked this up in paperchase sale just because it was ummm on sale. well we all need another snow globe right? sometimes I buy random things in paperchase and that's all I have to say about these. if anyone is in need of childrens party bags you know where I am. I wanted one of these for ages and now I have one I'm yet to use it! I'm determined to start snapping on this when I'm next out and about.. if anyone know where I can get cheap films for this let me know! I nabbed this from the sale rack and haven't managed to wear it yet, it's not really a dress I'd wear often (I'm more intending to layer it up and wear it as a skirt) but I loved the detail on the neck and hem... I'm a sucker for a lace trim. Ah that necklace really is to die for! Such an amazing bargain too! Lace trim is amaze, so jealous you managed to nab that dress. Also have major camera envy, although the price on the film kept me from purchasing! The Zara dress looks gorgeous! And I'm jealous of your instax mini! 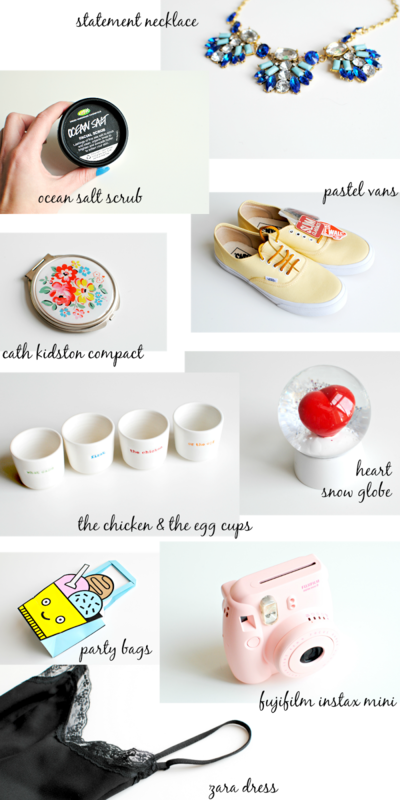 Some gorgeous buys, I'd absolutely love to get myself an Instax mini! I've been meaning to try the Ocean Salt Scrub. It sounds lovely! I LOVE that snowglobe. I've never owned one and I think I might have to buy that one right now. those Vans are awesome, I have them in black. I have the same Zara dress! It works really well as a skirt - and a top, tucked into a more casual skirt :) It's great with a baggy jumper over top, I just put some outfits with it on my blog. Oh that necklace looks gorgeous, off to have a look now! The snowglobe is adorbs. I got some pastel mint converse for my birthday and I was super scared of getting them muddy. I wore them out and accidently stepped in the biggest muddy puddle! DUH. I just bought the yellow fujifix camera and I love mine!!! I went on a day trip at the weekend and all the pics I took came out great! The pink one is also super cute!